Traditionally, copywriting meant sending letters through snail mail, waiting, and monitoring response rates. That was expensive and if your ad bombed . . . well that was even more costly and painful. But what if there were a less costly way to learn copywriting? Less pain? Faster results? In real time? Craigslist is a great site for this and at the same time to learn copywriting and marketing. The benefit of Craigslist is not only is it free, but you can make changes to your ad copy and monitor how people respond. In addition to learning copywriting, you’ll learn about picture and layout design. Most everyone has something to sell. But if you don’t, go to a thrift shop, buy something cheap and try to re-sell it at a profit. First, study how Craigslist works. When you site down to write your ad, think about the person you think might buy your product. What will get their attention? Is there a headline that will push an emotional hot button? Next, what are the interesting things about your product? Tell your readers about that. Then ask yourself, “What will this product do for this person?” Write that down. Finally, make it obvious how the reader can contact you and get them to buy your product. 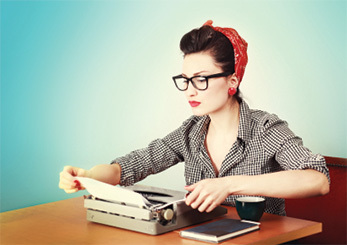 By learning to sell, you will pick up useful copywriting skills. You’re learning to convince someone to buy your product based on the effectiveness of your words. Selling is a valuable skill and it is something that can benefit you throughout your life.